The longer you use your PC, the more likely you are to end up with files and folders that have similar names. Sometimes, you've accidentally copied a folder instead of moving it. Other times, you play it safe and save a document in multiple places, then forget which one is the one you need. Thankfully, there's today's discount software promotion, FolderMatch, to make sense of it all! 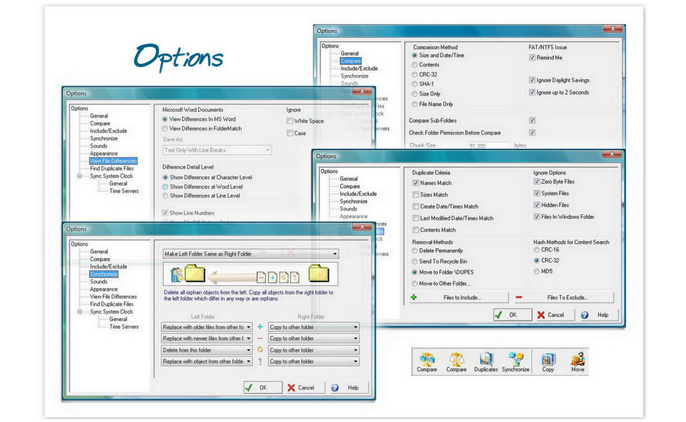 FolderMatch is a folder comparison and synchronization application for Windows users. 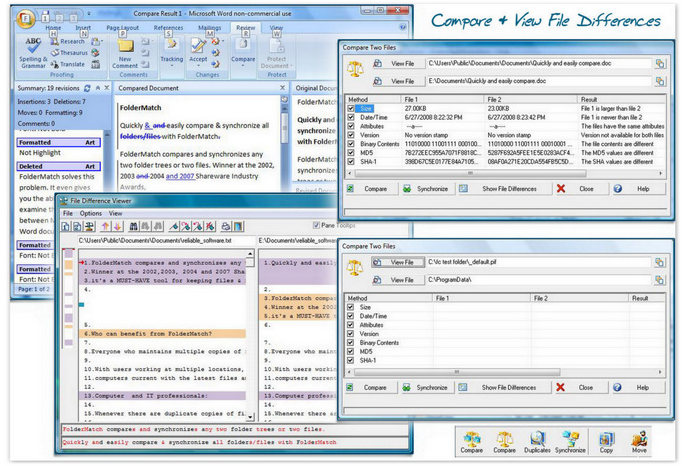 Featuring support for Windows 7,8,10 (both 32 and 64 bit), FolderMatch is the best way to reliably compare and synchronize two folders, two hard drives, or even the contents of two computers. With FolderMatch, you'll be able to see the exact differences between two text files, spreadsheets, Word files, PDF documents, or RTF files! Just as importantly, you can also use FolderMatch to identify and remove duplicate files, even if they have different file names, thus recapturing valuable hard drive space. And when you find a bunch of files that you want to keep, but keep in a more organized fashion, FolderMatch lets you rename multiple files at once. It's fast! It's easy! It's FolderMatch! FolderMatch is licensed per computer, and not per user. Its disappointing to find this product and be thinking that because it says 30% it should be a good deal. But then you go to the actual creator/publisher of the program, to find that if you purchase their software within the first 7 days you can actually get it cheaper than what is being offered here !! Granted, its only cheaper by 25c - but the point is, that Bitsdujour are stating their price of $24.95 is 30% off ?? Bitsdujour, can you please actually offer a price that is actually 30% off ? Or, if its not your fault, but the supplier/publisher is setting the price, can you negotiate with them a proper discount ? Complete Control Over Compressed Archive Files!